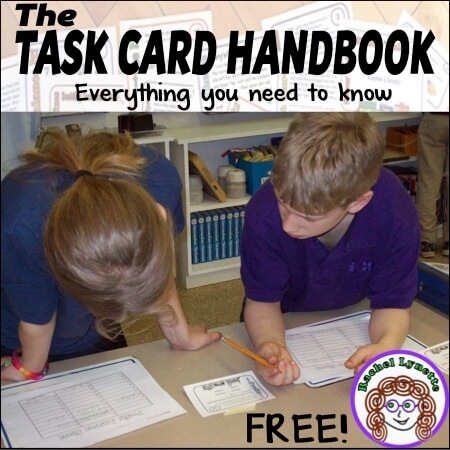 Task cards are a great option for reinforcing skills and offering enrichment because, unlike worksheets, they can be used again and again. You can make your own to target specific areas and, of course, there are many for sale, including mine (pictured above). Print on card stock, ideally in color, but grayscale will work, too. If you laminate them, they will last for years. 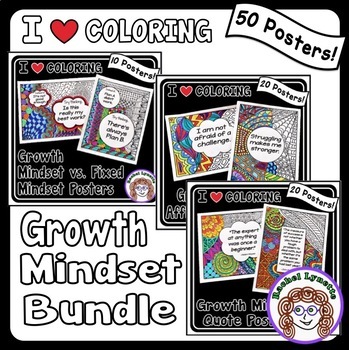 You can set them up at a center in your classroom or put them in a baggie for students to take to their desks. Another option is to punch a hole in one corner and put them all on a ring. Then, you can store them by hanging them on hooks. 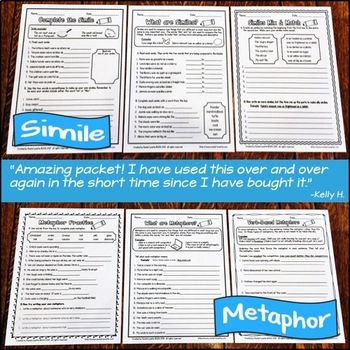 Task cards are great for students who need a little extra practice in a given area. 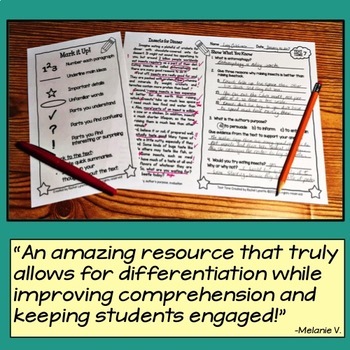 Students often prefer them to a worksheet because there is only one task per card, which helps the student not feel overwhelmed. Students can complete as many or as few cards as are needed to master the skill. 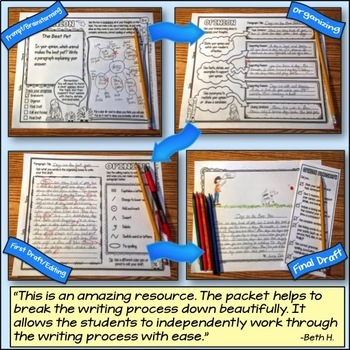 One option is to have students working on task cards while you are working with a group. Consider sending sets of cards home as homework for an evening with specific students who need a little extra practice. Task cards are great for fast finishers, as long as the cards are challenging. Ideally, the tasks on the cards should either explore a subject more deeply or extend it into related areas. More of the same is not a good use of a bright student’s time. 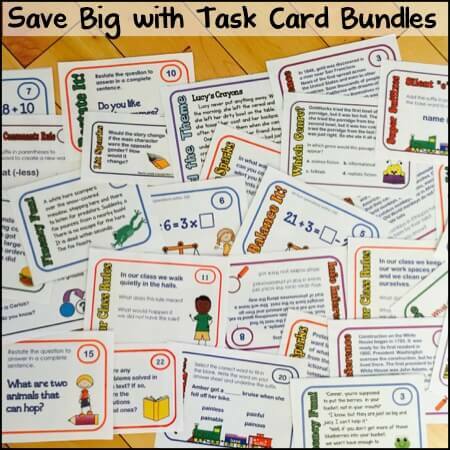 There are several ways to use task cards in small groups. Using individual whiteboards, everyone can work on the same card and then compare answers before moving on to the next card. Another option is to give each student a different card, allow a specific amount of time to complete the task, and then have each student pass his or her card to another student for a new round. You may also be able to make some types of cards into a game. For example, students can ask each other the questions and take turns answering. Use short answer task cards with the whole class by having students answer on white boards and then holding up their boards for you to check. Another option is to use them in the game Scoot. If you don’t know how to play, here are instructions (as well as a freebie!). 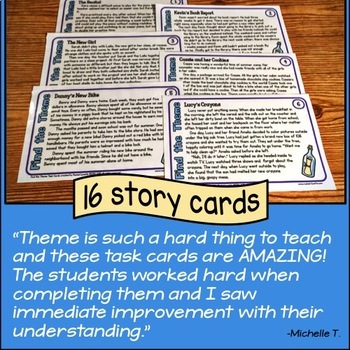 The way students record their answers will depend on the kind of cards you are using. For cards that require a short answer, an answer sheet may fit the bill perfectly. Students can record their answers and then turn in the answer sheet for your to check, or check their own answers with a provided answer key. Some task cards require longer, open-ended answers. 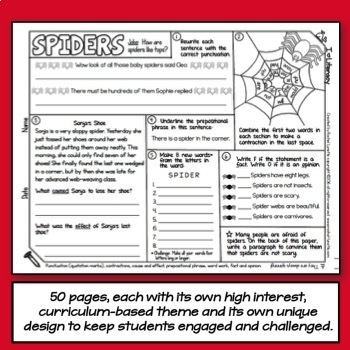 You may want students to answer on notebook paper or in a task card journal specifically for task card responses. 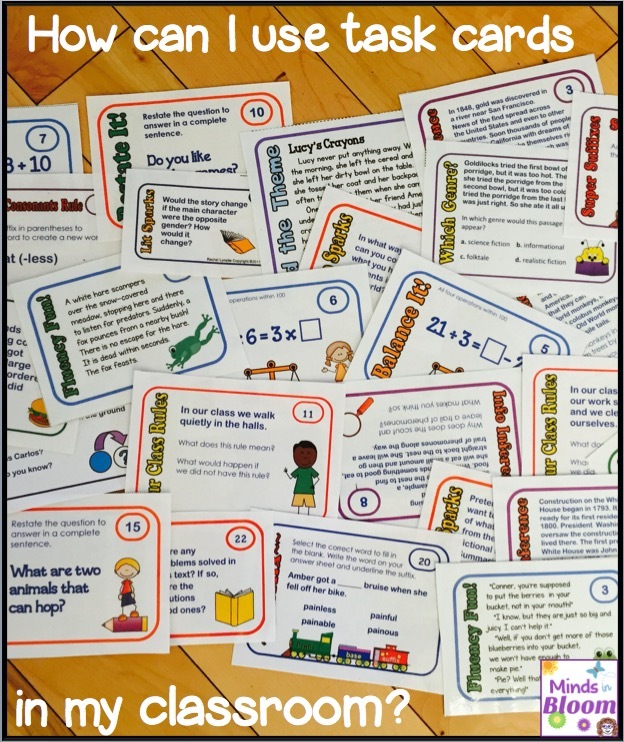 It may take several days for a student to complete one set, or you could have students pick a specific number of cards to do. 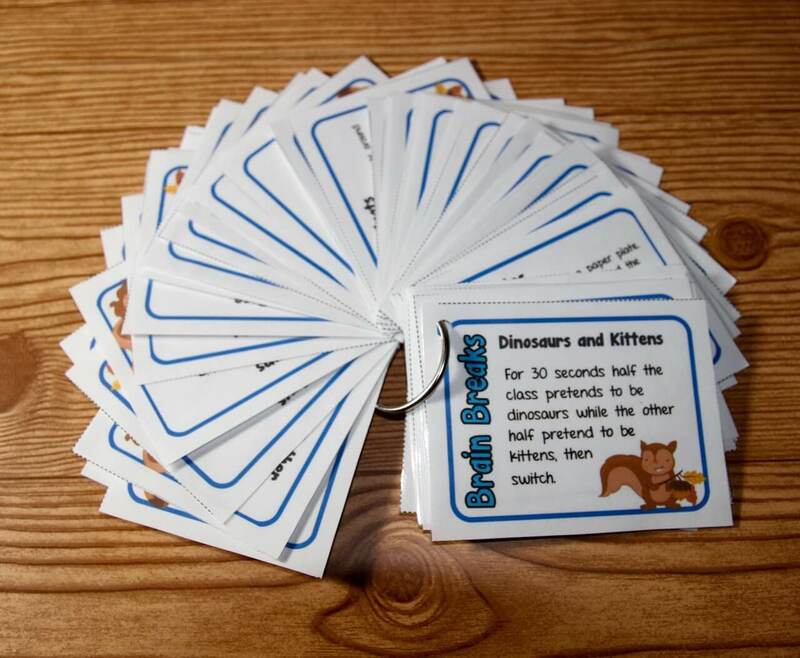 It can be helpful to provide a recording sheet for students to keep track of which cards they have completed. If you want to go completely paperless, students can work at a computer and record their answers electronically. Another paperless option for short answer cards is to have students write their answers on individual white boards and then use an answer key to self-check. 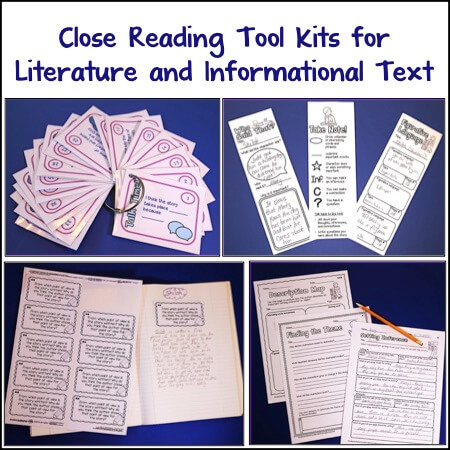 I have gone a little task card crazy and have made over a hundred sets for reading strategies, grammar, math, and more. You can get a set of free Friendship Cards here. 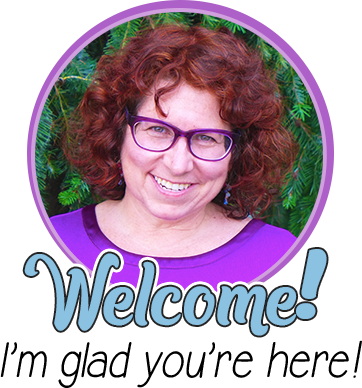 Or, you can see all of my cards in the task card section of my TpT store here. Do you have anything to add? 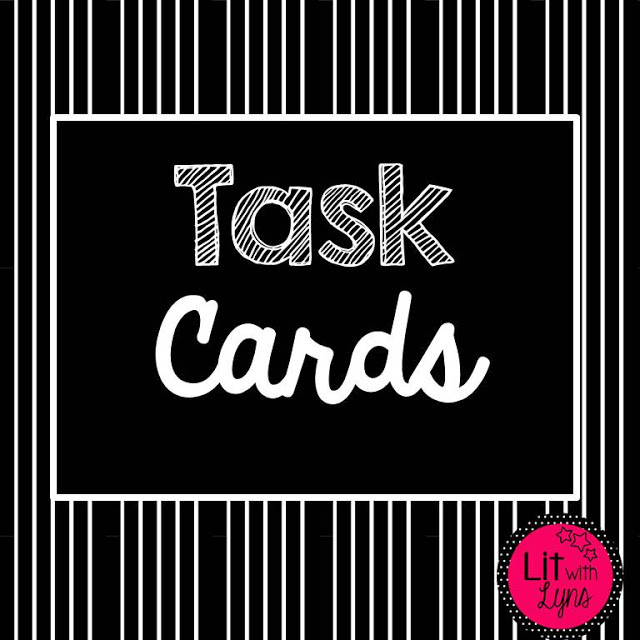 How have task cards been working for you?